Hearty Slow Cooker Pot Roast | Let's Cook With Bry! 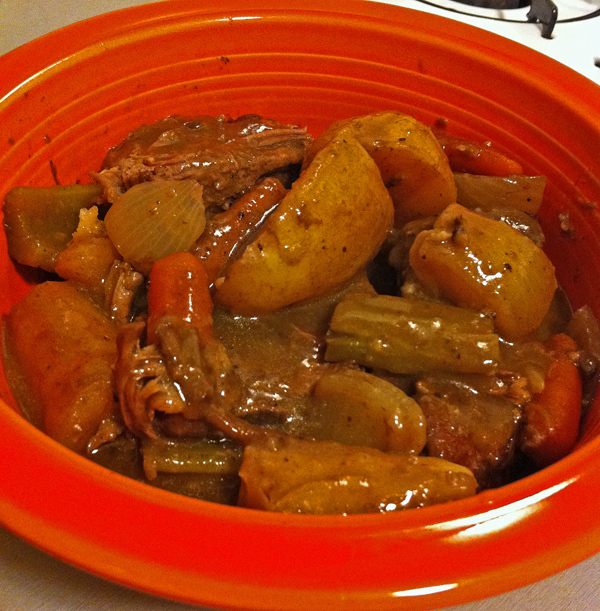 There are many slow cooker pot roast recipes out there. Based on what I’ve tried, I’ve come up with this one – I love the thick, tasty gravy that develops, along with just the right combination of vegetables. 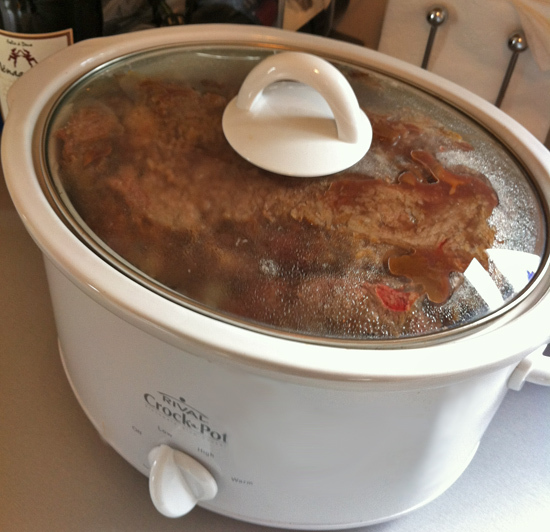 You can adjust the quantities according to the size of your slow cooker, this recipe fills mine to capacity. Filled with no room to spare! Coat the pot roast with kosher salt, pepper and flour. Heat 2 Tbsp. olive oil in a skillet and sear the roast on all sides. In the slow cooker, whisk together the golden mushroom soup, beef stock, and red wine. Place the vegetables into the crock pot. Place pot roast on top and coat with the soup mixture.